Anything with coconut involved and I'm hooked right away. I love the sweet flavor and texture and will add it to just about any recipe that I possibly can. My sister and I got ourselves hooked on coconut macaroons in Grand Rapids with our routine Saturday morning stop at Nantucket Baking Company. 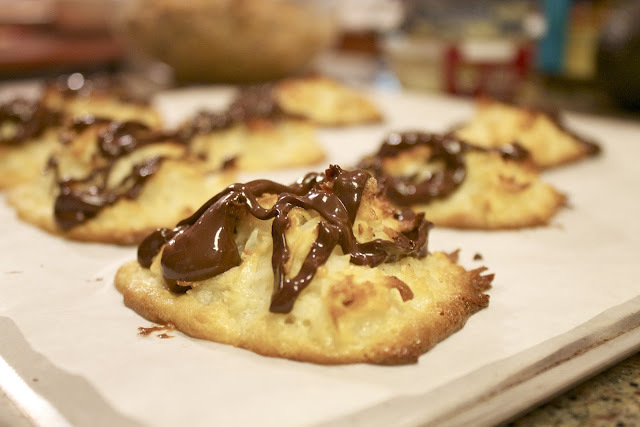 I always imagined these macaroons would be difficult to make, but this recipe from Food & Wine only involves 6 ingredients and they were super easy to assemble. The end result was a sweet and chewy macaroon that had everyone in my family asking for the recipe. Preheat the oven to 350 degrees and line 2 baking sheets with parchment paper. In a medium bowl, combine the coconut with the sweetened condensed milk and vanilla. 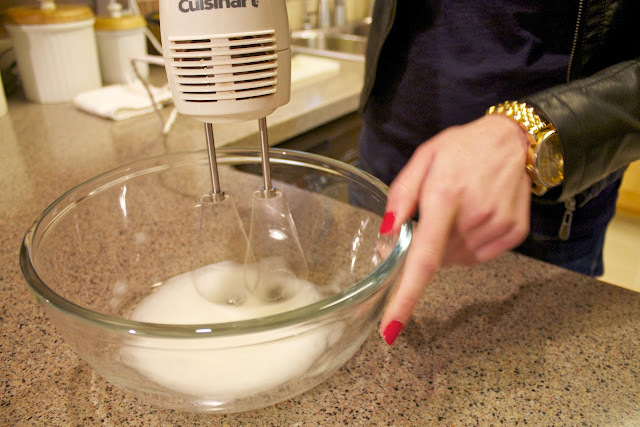 In another bowl, using an electric mixer, beat the egg whites with the salt until firm peaks form. 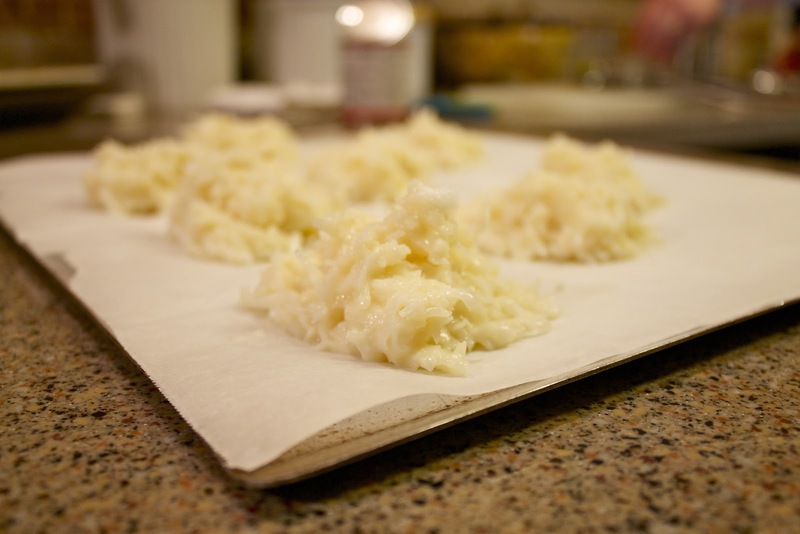 Fold the beaten whites into the coconut mixture. Drip the bottoms of the macaroons into the melted chocolate, letting any excess drip back into the bowl. Return the cookies to the lined baking sheets. Drizzle any remaining chocolate on top and refrigerate for about 5 minutes, until set.